Whether you need to reduce weight for medical reasons, or you are the health-conscious type who wants to watch and manage your weight to prevent any related health issues, chances are that you have been advised to follow a certain type of diet. Either a ketogenic (keto) one or the Atkins diet. While both are low-carb diets, the differences between the two are key to understanding which one will work best for you. 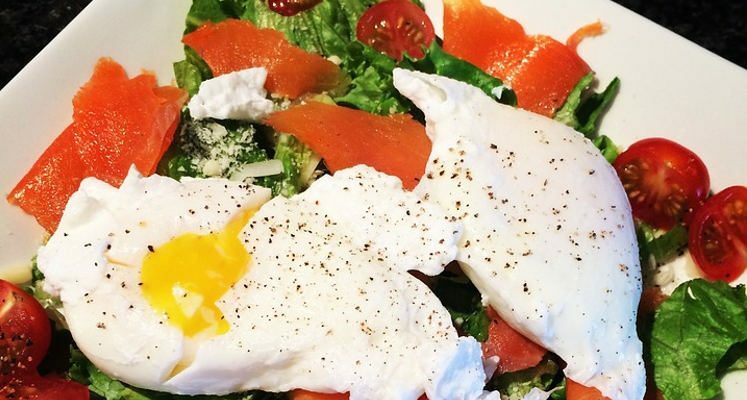 We put them side-by-side to give you a comparative analysis of the ketogenic diet vs. Atkins diet, and how they stack up on these factors. Well, like most diets, it involves eating certain things and refraining from eating certain things. A keto diet includes having low-carb, high-fat foods that help our body to go into a state of ketosis. This is a natural process during which our body produces ketones from the liver fats to be used as the energy we need. When we have a normal high-carb diet, most of our energy comes from the glucose content in the carb-rich diet. This means that the fats we consume are stored away and left unused. The idea of the ketogenic diet is to use this stored fat, and enter into a metabolic state in which the fats in the body get converted into energy. Thus, using the body fat instead of storing it, and possibly helping to reduce weight. The basic thing about the ketogenic diet is that it gets the body burning fats for fuel instead of carbohydrates (when followed properly). When an average human being consumes a high-carb meal, our body converts these carbs to glucose for fuel. Insulin then helps to move that glucose into the main bloodstream. However, when on a keto diet, things are different. The carbohydrate intake is either eliminated or kept very low—so when the carbs are missing, the human body looks for another form of energy to keep things normal. In the absence of carbs, the liver works on the fatty acids in the body and converts them to ketone bodies, or ketones, as a source of energy required for daily functioning. This process is called ketosis, and following the ketogenic diet helps the body reach it. Breaking down the fatty acids causes a reduction in the stored fat, resulting in the slimming of the body by the burning of fat. According to Dr. Atkins, carbohydrates are the main cause of increased blood sugar levels, which causes the body to store fat. As a result of reducing the carb intake, the human body would burn stored fat and do a better job of regulating blood sugar levels. The key factor is to work on burning the stored fats by starving the body of any other source of fuel, such as sugar and glucose. Phase 1: Carbohydrate intake is controlled to 20 grams (g) in a day. This is where the majority of weight reduction is seen. This induction phase is followed for the first couple of weeks. Phase 2: Carbohydrate intake is slightly increased. Those following this diet are allowed certain vegetables, berries, nuts, and seeds into their daily diet. The carb intake is increased slightly, but the weight loss continues. Generally, the carbs are adjusted around the workouts. Phase 2 is the longest stage of the diet, and is to be continued until the target weight is around 10 pounds away. Phase 3: This phase is called “pre-maintenance,” since this stage adds 10 g of carbohydrates to your diet each week by adding starchy vegetables and a few whole grains such as potatoes and rice. Weight is carefully monitored, and if weight loss stops, the carbs are cut down again— just enough to maintain steady weight loss until the goal is reached. Phase 4: This is what is followed for the rest of the person’s life, and the carb intake is limited to 45 to 100 g per day. Whether you opt for the ketogenic or the Atkins diet, low-carb foods are limited, with a controlled intake of carbs and increased intake of fats to burn body fat and reduce weight. So which diet is better for those looking to reduce weight and maintain a healthy and appropriate BMI? The right diet will depend on a number of factors, including your physical health, daily exercise, stress levels, and physical activities done in the day. It will also depend on certain health conditions. For example, if you have diabetes, your diet will be adjusted in accordance with your requirements. Generally, both diets have been found to be effective for various lifestyle diseases such as obesity, polycystic ovary syndrome (PCOS), diabetes, and more. Weight loss is a very important benefit of ketogenic diets. Low insulin levels and the body’s ability to burn stored fat make it possibly the best diet for weight loss. A slightly modified ketogenic diet is highly beneficial for most relatively healthy adults who are at an increased risk for metabolic syndrome. Those who find it difficult to lose weight or are unable to control the glucose in the blood may benefit from adapting to this diet. In the case of those worried about high cholesterol due to high fats, there are studies that have shown that the ketogenic diet may actually reduce cardiovascular disease risk. Additionally, ketogenic diets are beneficial in reversing cognitive impairments, and could help in fighting Alzheimer’s symptoms. Along similar lines, the Atkins diet, which is indeed more flexible than the former, is also associated with certain health benefits. As with any diet, the control of or total cut off from carbohydrates in regular daily intake will have certain side effects. In addition to these, as you begin a ketogenic diet, there could be an onset of “keto flu.” The symptoms of this could be headache, fatigue, brain fog, increased hunger, poor sleep, nausea, decreased physical performance, bad breath, and sweat and urine smelling like acetone, which gives a nail paint remover its pungent smell. This usually goes away in a few weeks. If any of the above initial side effects persist or do not fade away within the first few weeks, consult your doctor immediately. Both of the diets are low-carb diets that establish ketosis in the body. The metabolic activities change, and issues like dips in energy levels, nausea, and a general panic may result from following these diets during the first few weeks. They are, however, considered among the best diets to follow when trying to reduce weight, and for maintaining a balanced blood sugar level among those prone to diabetes. Select what works best for you, and if you are within the required range of your height to weight ratio, follow a balanced diet that includes the best of all nutrients to maintain a healthy lifestyle. The Atkins diet may be suitable for most vegans or lacto-ovo-vegetarians unlike the keto diet, wherein a lot of red meat is recommended. This is because, with the Atkins diet, you can have fats through eggs and dairy almost daily. Also, the amount of proteins consumed in the Atkins diet is slightly higher than in the keto diet. It is more flexible because you can slowly introduce fruits and whole grains into your diet, and help you maintain an active lifestyle. “How does the ketogenic diet work?” Perfect Keto, August 3, 2017; https://www.perfectketo.com/how-does-the-ketogenic-diet-work/, last accessed August 24, 2017. “Ketogenic Diet Boosts Fat Loss + Fights Disease,” Dr.Axe; https://draxe.com/truth-about-the-controversial-ketogenic-diet/, last accessed August 24, 2017. “Atkins Diet: How It Works, Health Benefits, Plus Precautions,” Dr.Axe; https://draxe.com/atkins-diet/, last accessed August 24, 2017. Jones J.C., Wallace R., “Is Ketosis Safe and Does It Have Side Effects?” Healthline, August 19, 2016; http://www.healthline.com/health/atkins-diet#how-it-works2, last accessed August 24, 2017.